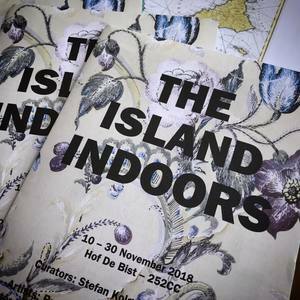 The Island Indoors opened 9 November in the presence of the Deputy Ambassador for Malta in Belgium. Artists Ryan Falzon, Aaron Bezzina, Matthew Attard, Caesar Attard, Marc Thiron and Stefan Kolgen turned one of the rooms in Castle Hof De Bist into an exquisite place. The works and the place merged together into a total work of art. Different stories can be derived from the scene. It is up to the visitor to choose. The longer you stay in the room the longer the scene absorbs you and brings you in memory to a place you like or recognize. The Island Indoors plays with Maltese iconography, but by placing it into this castle the iconography transcends the Maltese Islands. Nothing is what it seems, that is The Island Indoors. Not just a chandelier, not just a couple having Sunday roast, not just pictures on the wall, not just the rediffusion on … not just that but a lot more. For those who are in the neigbourhood go and experience it yourself. 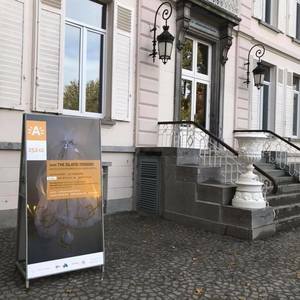 The exhibition is still on till 30 November and is open between 14:00 and 17:00 from Tuesday to Saturday. The project curated by Stefan Kolgen and Dr. Ann Laenen. 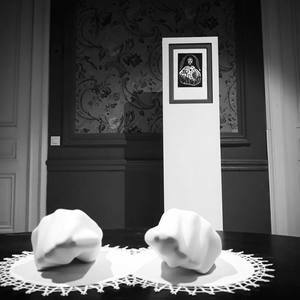 It is a collaboration with 252 CC – The Cultural Centre of Ekeren/Antwerp and is supported by 252 CC as well as Arts Council Malta through the Cultural Export Fund. It is endorsed by the Valletta 2018 Foundation.